St. Catherine's Anglican Church, Port Coquitlam: Who Remembers the Easter Garden? 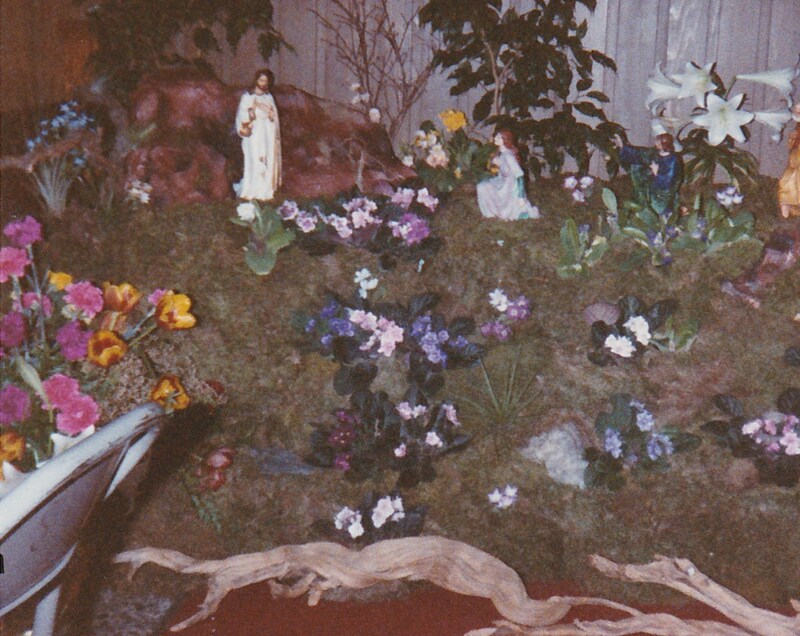 Who Remembers the Easter Garden? 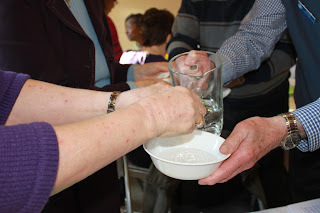 Apart from the liturgical rituals, individual churches and congregations have their own traditions. Some come and go with the rector of the day; others may last for generations. Father Ray Edwards brought some Easter traditions to St. Catherine’s at the time the church was located on McAllister Avenue. On Easter Sunday Father Ray would wear a set of antique vestments. Each year he would describe how the chasuble and stole had been lengthened to fit him. At the end of the service he would invite the congregation to view the “Easter Garden” – a diorama of Mary Magdalene at the tomb of the Risen Lord. The church building on McAllister and the Easter Garden are gone, but St. Catherine's still has traditions associated with Passiontide. The Seder supper dates back to the McAllister days, although then it wasn't an annual event. Our current rector, Reverend Paul Strudwick, has brought a new seasonal tradition, the Palm Sunday procession around the church, complete with palm branches and (usually) donkeys. What traditions will the future bring?